American style cuisine. Nothing evokes great flavor, style in simplicity, and sizable portions than it does. Imagine now adding just the right amount of Latin and Floridian flare to this already wonderful style of cuisine. Just the thought of it is enough to make the taste buds tingle. 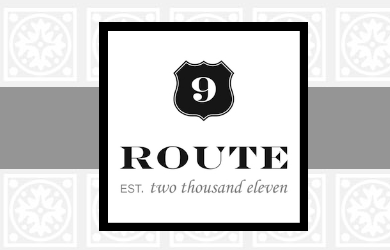 Route 9, is the creation of husband and wife team Paola and Jeremy Goldberg. After years of managing several of the area's favorites restaurants they have channeled their talents and experience to bring to Miami this delightful establishment. 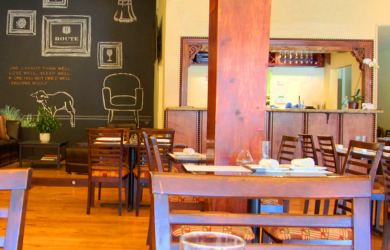 Simply and tastefully decorated it reminds you of charming neighborhood restaurants from major northeastern cities. The ambiance created is welcoming and the staff is beyond attentive and friendly. May buy 1 per person. May buy multiple as gifts. Not valid on holidays. 1 per table/party.